The Government is hoping to bring in compulsory emergency first aid training for all students. However, at Paignton Academy Year 7 have already been honing their first aid skills during PSHE lessons. This week they have learnt the basics of CPR, using resuscitation dummies. They have also learnt how to deal with a choking emergency and how to contact the emergency services. Next week they will learn how to deal with bleeding and how to put on a sling. St John Ambulance believes that every young person should have the chance to learn first aid. In fact, they believe that first aid training in schools should be just as important as learning the alphabet. 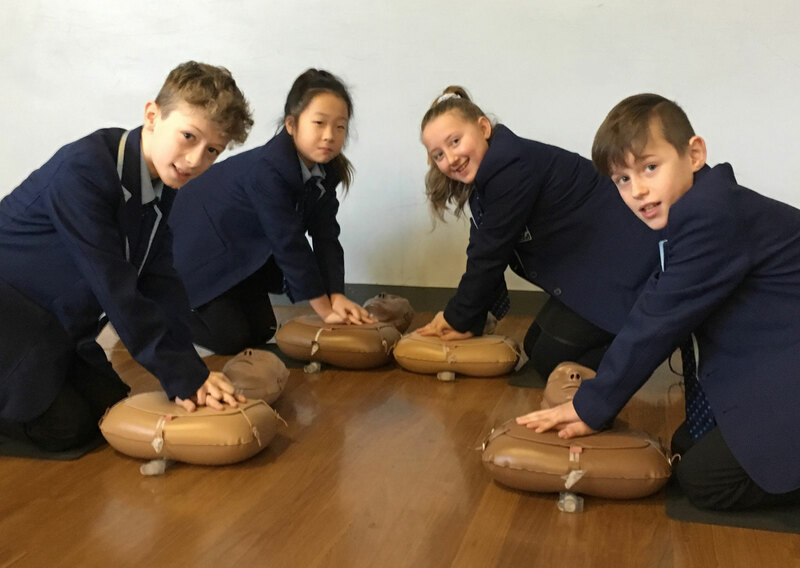 By teaching first aid in PSHE lessons, students are not only given the skills to potentially make the difference between a life lost and a life saved but are also being given the tools to build their confidence, self-esteem, teamwork and communication skills. Every year, according to St John Ambulance, up to 150,000 people die in situations where first aid could have given them a chance to live. The Red Cross estimates that only 5% of all adults have the skills and confidence to provide first aid in emergency situations. We are hoping that all Paignton Academy students will be equipped with basic emergency first aid skills.